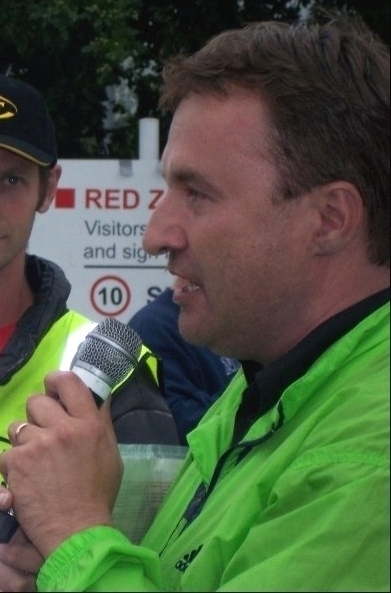 To celebrate International Workers’ Day we are proud to present this rare footage of the late Rob Windsor addressing a youth protest in Coventry in 2010. Rob sadly passed away on 14th January, 2012 aged just 47. A former Socialist Councillor in St Michael’s ward, a leader and organiser of the anti poll tax battle and community campaigner on many issues – from housing rights and fighting the PFI in the NHS to organising protests in solidarity with the Palestinians, Rob was a well known presence in many battles involving working class people against the establishment. It is characteristic of Rob that he would show support for this protest of young people which was organised by Socialist Party members against increases in tuition fees. Rob’s speech starts at 3 mins 24 secs. Vote for TUSC – no to austerity!